I have to admit that Summer is not my favorite time of the year. But, summer Indian weddings, Maharanis, that is my jam! I love gazing at well-lit portraits with lush greenery and the sunlight twinkling hotter than a bride's highlighter. Summer weddings are IT. And, if you have a Cali wedding in the pipeline, Preet and Praneel's incredible getaway is pure bliss and inspiration. 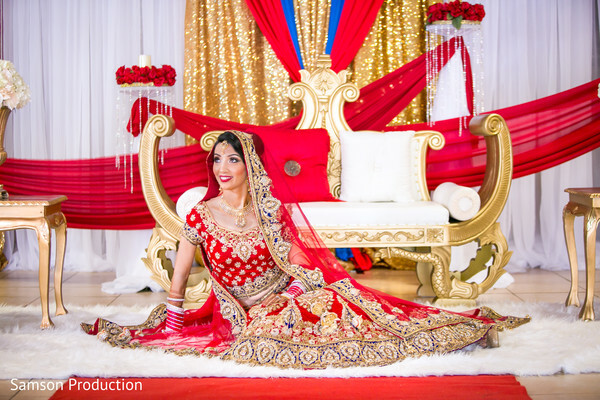 For an Indian bride, the search for that perfect lengha is seemingly long and foreboding. 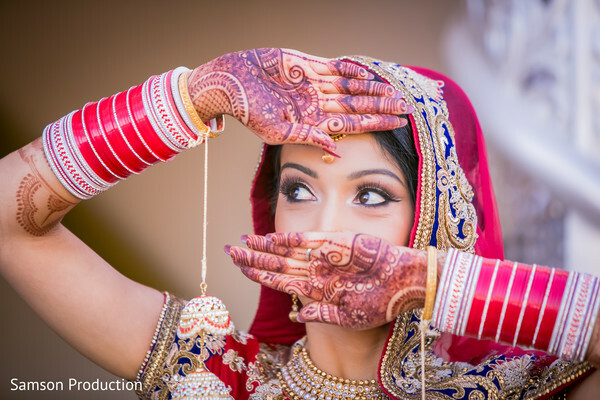 But, when you find that one, the one that just makes your heart flutter, that is when an Indian bride knows everything is going to fall in place. 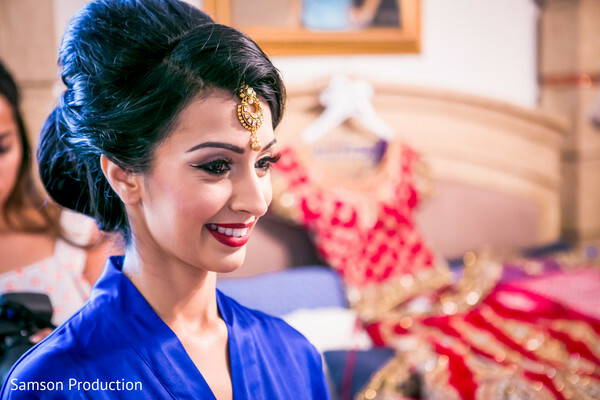 Preet enlisted the designers at Mashaa Collection to secure her Sikh wedding look. 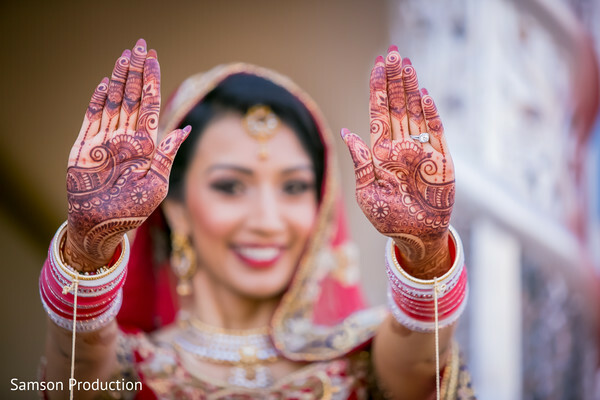 The bride settled on an incredible lengha that embodied the romance, confidence, and joy of being an Indian bride. 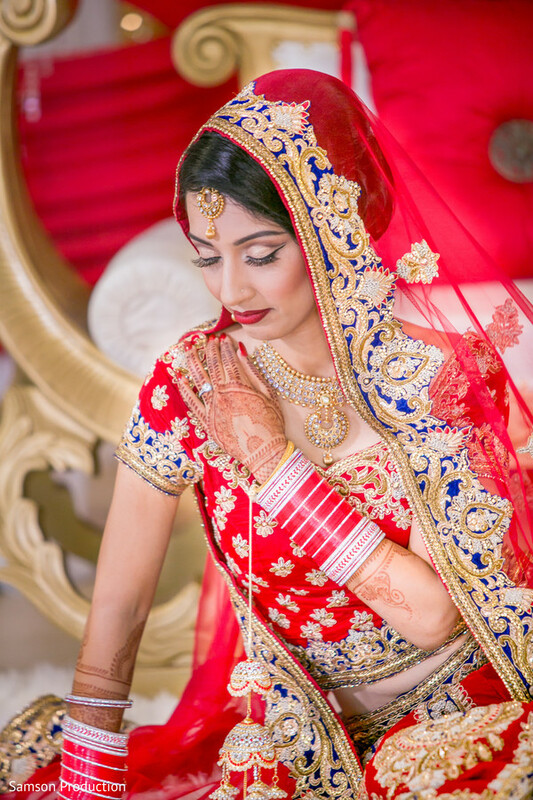 The designer collection also dolled this bride up with unique jewelry pieces that were undeniably appealing. 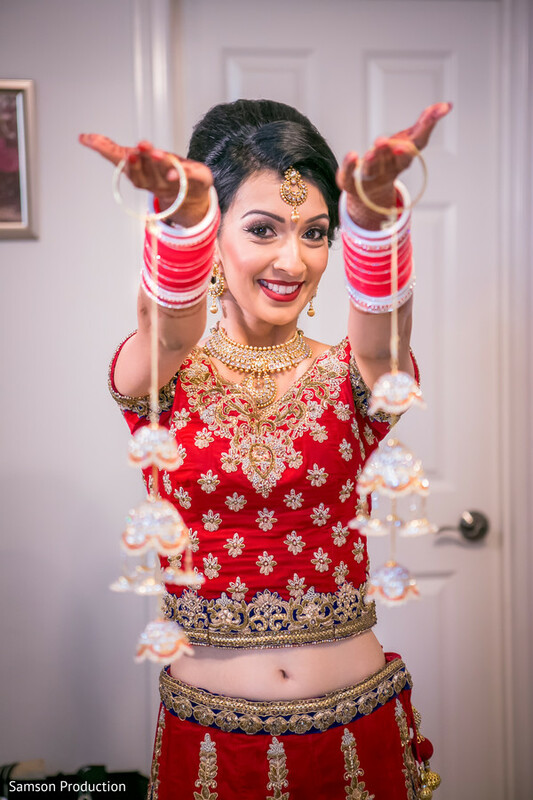 My favorite highlights of the bride getting ready are down below with Samson Production behind the lens and Sacheens Décor getting the venue ready for a sensational soiree in our gallery. Praneel and I met 15 years ago at a family friends wedding. The moment I saw him on the dance floor, I knew there was something special about him. Over the years we met at several functions and became good friends. Both of us kept our feelings to our self's for many years but then Destiny brought us together. In 2015 we took our relationship to another level when he raised the question of Marriage. Praneel and I love traveling and traveled to many states (Las Vegas, Chicago, New York, Florida, Texas, Seattle, Hawaii, to name a few) while we were dating. During most of our trip, we unofficially discussed marriage and it was on our trip to Miami Beach, where he popped the question in the most romantic way. We celebrated our proposal in a more formal way in New York City. Our wedding planning was short and un-stressful. 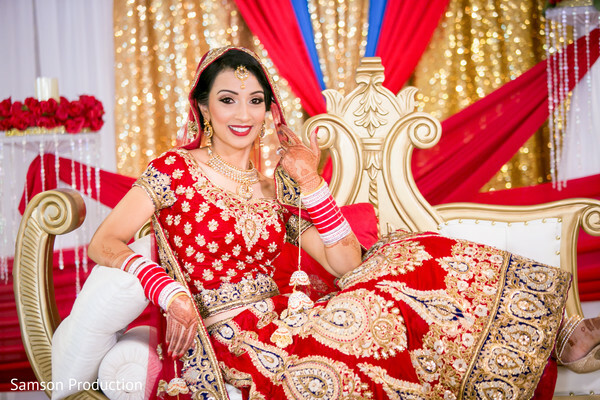 We both knew that we would get married at the Buena Park Gurudwara and only went there to reserve the date and coordinate the decoration with our Decorator. Since we both love Newport beach and have celebrated many special occasion including our first date, we knew we wanted our reception there and choose Electra Cruises. Luckily the yacht we liked was available the day after our wedding. For decoration, we only met with Sacheen at Sacheen Décor. You can see Her passion for decoration through her elegant work. Our all-time favorite photographers are Samson and we had them capture all our events. And when it comes to Makeup, Hair, and Mehendi, my childhood friend Minal from Minal's Beauty made me look extraordinary in all our events. I always pictured myself in a bright red lengha and my groom in a Blue Sherwani. When it came to selecting my lengha, I saw 4 outfits and as soon as my eyes went on the outfit I wore on our special day, I fell in love. it has the royal blue color on her Gold Zari work with was stunning and I couldn't resist and purchased it in minutes. Praneel's Sherwani had the same Red and Royal Blue combination. Both the outfits were from different Boutique stores. We had decided that we will not see each other outfits and see it on the wedding day. The way I described my outfit to him, he was able to custom order his Sharwani from Maansha matching my colors and design. We only spent 2 months planning our wedding. We both did not want to stress ourselves by dragging the process for 6 months to years. We both knew exactly how we wanted everything and didn't want to waste time with visiting venues and vendors. Our guests absolutely loved our Decoration at all the events, thanks to Sacheen. She decorated each venue just the way I dreamt. The details for each décor was so elegant and classy that everyone including us was speechless. The wedding reception is on a yacht. I repeat, the wedding reception is on a YACHT! Join me in the next feature where I dish all the details!